Aesthetic Green Power is devoted to the proposition that buildings can be designed to supply much of their own energy through renewable sources. 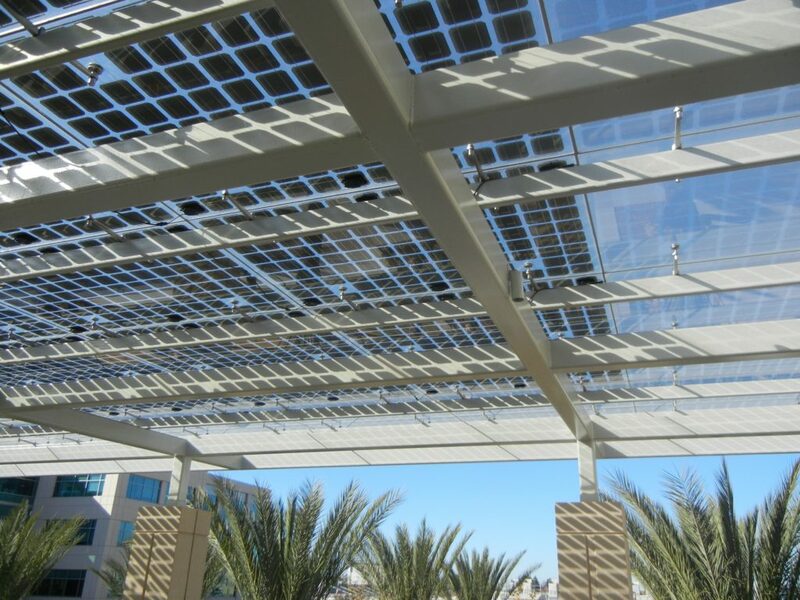 The concept that defines are product is BIPV meaning building integrated PV. We design our products as a durable weathering skin that protects the building as well as supplies it with solar electricity and optionally thermal energy. The thermal option is defined as BITERS of building integrated thermal energy roofing systems. Our products are known to give a high priority to the look or aesthetic of the building as well whether a National Football Stadium, private residence or public space canopy. 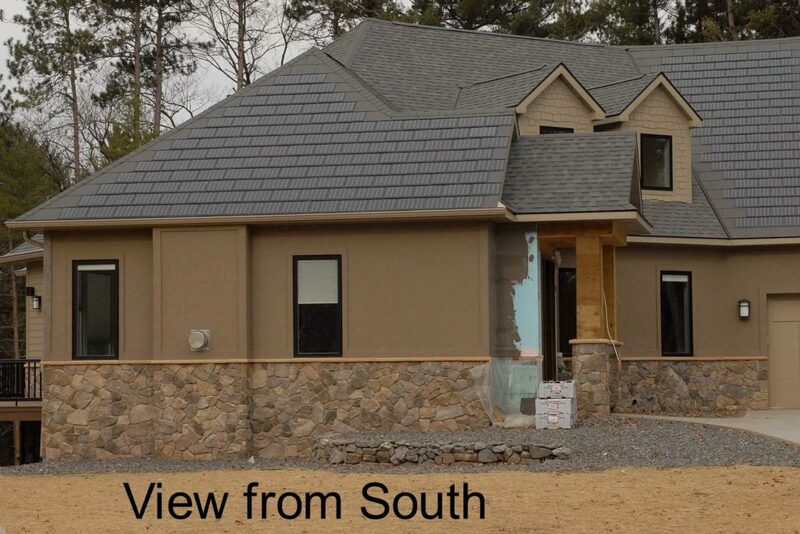 This roofing product is designed to incorporate with natural slate. It is mounted, as is the slate, on a Nu-Lok counter batten hardware on exactly the same roof plane. 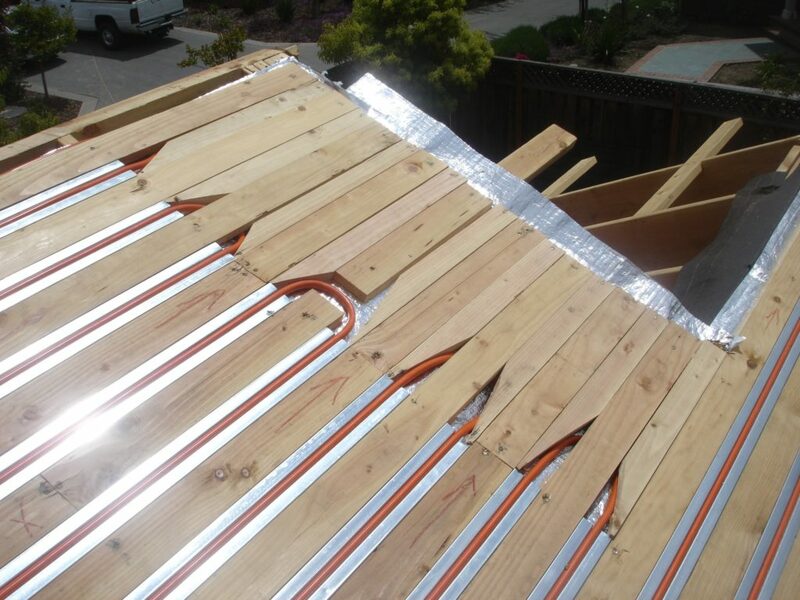 The plenum below the slates and the TallSlates allows the option of extracting thermal from the plenum space that can supply the domestic hot water for building or using a geothermal system or pool as a heat sink. It is designed as our most economical roofing product and allows quickest installation saving labor costs. The terms are an acronym for Building Integrated Thermal Energy Roofing Systems. 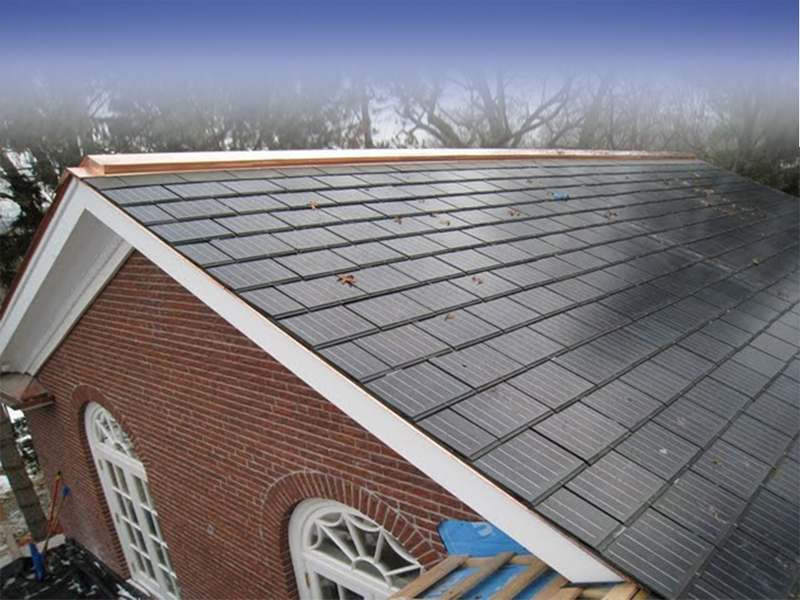 We build our Sunslates 5 and 6 products with Swiss Pearl roofing slate as the substrate. The dense substrate is a great Class A material for roofing but acts as a heat sink for thermal. B.I.T.E.R.S. is our solution. It allows wicking the thermal away from the PV roof slates and intercepting the thermal before it can get into the attic space. We use a food grade glycol to route the thermal to a heat exchange for domestic hot water, geothermal storage or swimming pool heat. 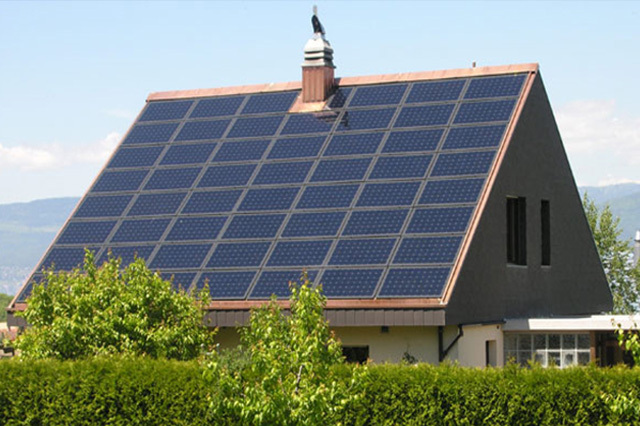 Solar electric is trendier but when paired with the thermal production on a typical roof the overall kWh is 3x or more. This is a larger variant on the Sunslates5. 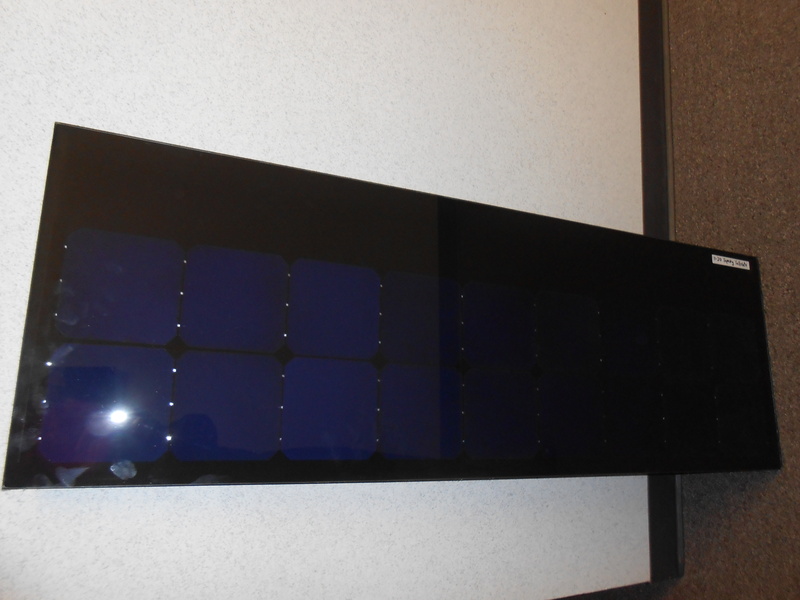 A few years ago, the PV cell industry migrated to the larger 6” cell. We designed the new product to accommodate the larger cell. It has an exposure on the roof of 2.0 sq.’ It uses the same Swiss Pearl underlayment as the smaller Sunslates5. Likewise, it accommodates the B.I.T.E.R.S. system. It works beautifully with larger roof planes. Indeed, except for size all the superlatives reported for its smaller Sunslates5 can be said for this one. This is a big BIPV roofing solution, 11.828 square’ each, 150 Watts each, 8.45 per roofing square. It is Class C listed. Instead of a traditional shingled look the TSG is designed for straight lined installation with overlap at top and with a vertical drain seam between horizontal modules. Because of its large format it works best on large rectangular roof planes. It can also use the BITERS thermal system on the same foot print. Always custom design and materials this product category includes huge projects like the 1400 very large modules that form the “mood ring” at the perimeter of MetLife Stadium to the regional award-winning canopy that covers the outdoor restaurant at the County Operation Center in San Diego. These projects and products are the result of collaboration between our sales and engineering staff and that clients architectural team. Weather and wind considerations, as well as mission goals determine the glass thickness and number of laminates as well as cell density and placement. 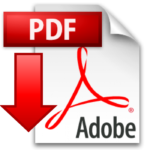 Once all are agreed on the design the Sustainable Products Development team begins production on the largest laminators in North America. We rely on the architects to define the dimensions of glass and cell spacing. The BIPV Glass is supplied with pigtails connection to connect to a harness supplied by the electrical contractors. Thanks to our state of art laminators we can handle the large sheets up to 10.5’ x 6’, ideal for large façade projects. We will soon have in plant testing capabilities thus avoiding lengthy delays and expense for projects requiring certification. We do our best to supply highest quality products for all of our projects. Because it takes as much time to do set up planning and trial runs for 10 modules as a 10,000-module production run the costs for small runs is higher. This creates the opportunity to get off spec or slightly flawed products at good pricing. What follows is our current inventory of such products that can be picked up at buyer’s expense from the SPD Labs factory in Poughkeepsie, NY.